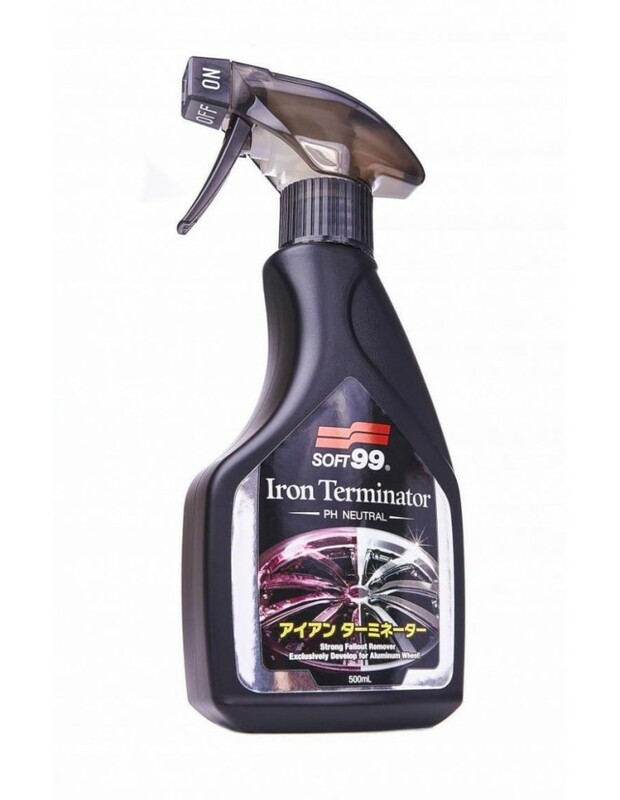 > Cleaning>Cleaners>Wheel cleaners>SOFT99 Iron Terminator 500 ml. 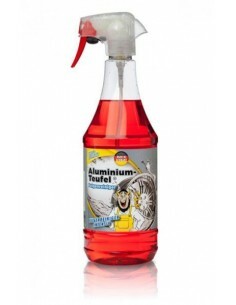 Strong fallout remover exclusively develop for aluminum wheel. 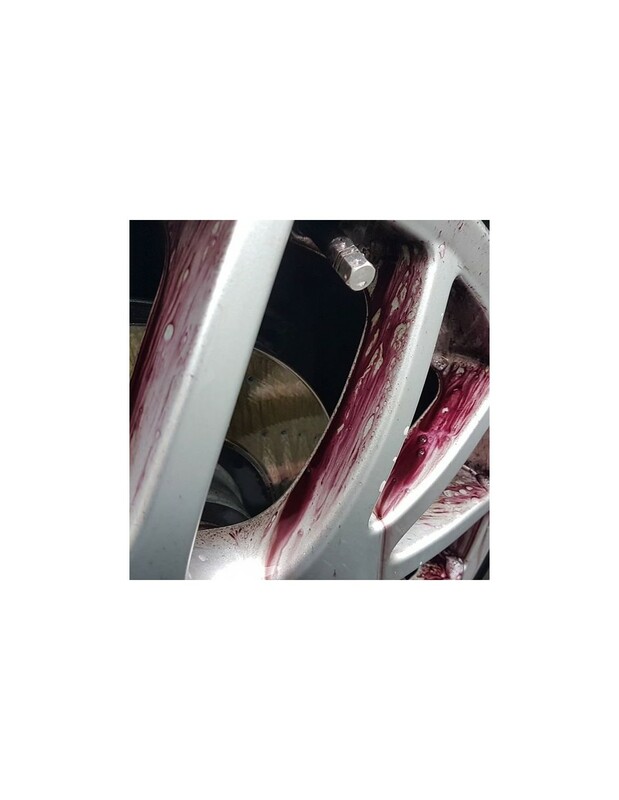 Special active agent and ammonium thioglycolate synergistic effect thoroughly remove the stubborn iron deposit which normal car wash cannot. 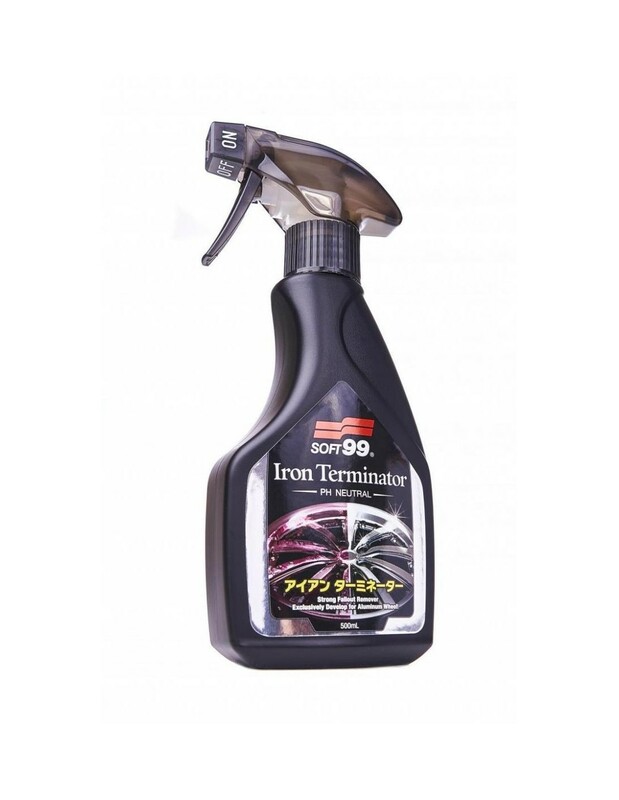 In special this product is highly effective for stucked ferrous deposit. Quick color change shows clearly where the product is activated. 1. 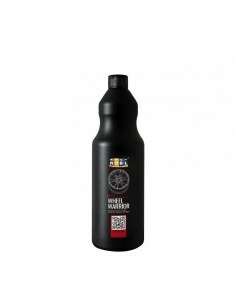 Wash off sand, mud or dust in advance. 2. Shake the bottle well approx. 20 times, and turn the trigger "ON". Spray entirely 10cm away. 3. Allow to dwell for 2-3 minutes after that rub lightly with soft long bristle brush to remove dirt. The transparent liquid change the color into purple when there is iron deposit. * Do not rub strongly to avoid making scratches. 4. Rinse thoroughly with plenty of water. 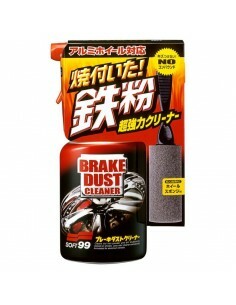 * When spray over brake disc, it reacts and changes the color. 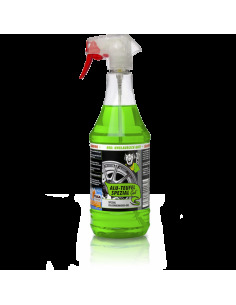 Rinse away completely, if leave as it is, it might be bad effect for brake disc. 5. Wipe off with clean towel. Besure to do braking test by low gear 2-3 times after cleaning. * This product is designed for wheel. If use for car body, carefully rinse off with water afterwards.